As the Sun sets, from high on a hill with a panoramic view to the West, across tranquil horse pastures, friends and family gather to enjoy some comfort and relaxation after a long day of playing polo. Thus was the imagery that inspired this design. With 2,750 sq.ft., this home easily accomodates 3 bedrooms, 3 baths, and an ample Greatroom of Kitchen, Dining and Livingroom. Additionally, it has a Mudroom, Laundry, Office and Exercise Room. And the large deck area can handle lots of friends to enjoy the sunset. 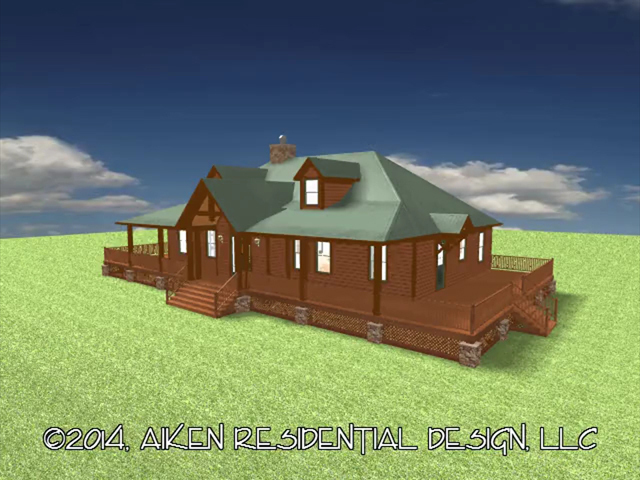 ©2014, Aiken Residential Design, L.L.C.